During the October 2018 Women’s Session of General Conference, President Dallin H. Oaks, first counselor in the Presidency of the Church of Jesus Christ of Latter-day Saints (LDS), spoke disparagingly about LDS women getting married at a slightly older age (two years older than in the past) and giving birth to fewer children. He did not make a direct call to action, but judging from what I am hearing in LDS forums, many women of childbearing age are feeling pressure to make babies. Some have reported that third parties have contacted them to nudge them toward starting families right away. Oaks acknowledges there are valid exceptions to his counsel that he chooses not to mention. “I only teach the general rules. Whether an exception applies to you is your responsibility. You must work that out individually between you and the Lord,” he has said. Before making life-altering decisions to get married young and bear many children, a woman must “work that out individually between [herself] and the Lord,” especially considering that pregnancy and lactation are confined to women by biology and, based on what all three members of the First Presidency said at the Women’s Session, it is also their assumption and preference that women will do the bulk of the work related to raising these children for the two decades following birth, even after biological differences between male and female parents become less pertinent. As a public health professional, I worked with a community with an extremely high infant mortality rate. The cause of the deaths had been traced to very short intervals between pregnancies. One man was angry about our efforts to encourage birth control between pregnancies because he saw having large families as a religious duty. The angry man told me that he knew people with 14 children and there was no way they could have so many if they spaced them two and a half years apart. He was right. If people choose to follow guidelines that lessen risks for mothers and children, it is likely that they will have fewer children than they would otherwise. Many of the strategies for producing larger families—starting young, spacing pregnancies close together, and continuing to give birth into older age—carry significant health risks for both mothers and babies. Babies born under these circumstances are more likely to be born preterm and low birthweight, which can lead to other chronic conditions that affect them their entire lives. The women who carry these pregnancies are more likely to experience life-threatening conditions such as preeclampsia, diabetes and hypertension. More income is required to keep a larger family out of poverty. “Poverty is the single greatest threat to children’s well-being.” Children who grow up in poverty are at greater risk for chronic illness, cognitive problems, and premature death. A woman who marries at age 20 is more likely to divorce than a woman who marries at age 25, and single women with children have one of the highest poverty rates of all demographics in America. (The same risk does not apply to single fathers.) Fewer than half of divorced American women receive all the child support they are legally entitled to from noncustodial fathers. Couples with children are less likely to divorce than couples without, but there is a dark side to this seemingly happy statistic: women are more likely to stay in unhappy or even abusive marriages if they have children. High proportions of mothers drop out of college and the workforce, not always by choice, narrowing their options to staying married or living in poverty. Some people believe that if Millennials would make more babies, it would benefit elderly, retired people by replenishing the workforce with young workers who could contribute to the Social Security fund. Oaks mentioned the aging population in his talk. I respectfully suggest that even if every fertile LDS woman with access to a sexual partner or a sperm bank were to give birth as often as possible, we would not be able to reverse the demographic shift because the main factor driving it is not too few babies, but rather many, many more seniors. The American senior population is now composed primarily of Baby Boomers, the largest generation in American history. More babies than usual were born from 1946-1964 after several years of repressed fertility due to the catastrophic events of World War II. During the baby boom, an average of approximately 4,100,000 babies were born each year. In 2016, the most recent year for which data are available, 3,945,875 American babies were born—almost as many as during the heyday of American baby-making! With so many babies being born, why is the population aging? Because improved public health and innovations in medical technology are increasing life expectancy. Trying to match the size of the elderly population by making more babies is a futile attempt to chase a moving target. Even if increased baby-making worked as a solution for the elderly, it could cause a new crisis for the children. The larger the population, the greater its carbon footprint. A side effect of another baby boom would be the need for more drastic lifestyle changes to control climate change, which has already started causing hurricanes and wildfires. At the First Presidency’s initial press conference, President Oaks brought up another benefit to starting families early from his perspective; married Millennials are more likely to stay active in the church than their single counterparts. By looking at the stats, or simply looking at the people in the pews at your local Singles Ward, it is apparent that single women are more likely to remain active in the Church than single men. Marriage as a retention effort is primarily directed toward men. All considered, the potential risks of having babies early and often primarily affect women and children, while the theoretical benefits would help male church members and the elderly. Only elderly men are within the highest ranks of leadership with the LDS Church, so the opinions of some, such as Oaks, are unsurprising. We might take a cue from the women who came before us. In the sixties and seventies, several church leaders condemned birth control, using much more forceful language than Oaks did in his recent talk. And yet, most LDS women disregarded the rhetoric and used birth control anyway. Eventually, church leaders implemented the current policy that birth control use is a private decision. No one but you can determine the right size for your family. Whether due to personal revelation or personal preference, many people do choose to have large families, and I support their decision. To many, the rewards of having a large family are worth the risks. But please, don’t take on risk to yourself and your children simply because of the opinions of others, even if those opinions are expressed during a General Conference talk. You are the person who will be responsible for the lives you bring into this world. I remember taking a class at BYU called “Teachings of the Living Prophets” where we studied the lives of all the apostles. The chapter in our textbook about the life of Russel M. Nelson said that his wife sold blood to help pay for his schooling and in a quote about those days he joked about nearly bleeding her to death (NOT funny to female readers). Now that she has had ten kids and pre-deceased him AND he (again jokingly) took credit for their births in conference while not-so-subtly hinting that we need to be using our bodies as his wife did, I am feeling even more uncomfortable about letting old men decide what I do with my female body. The upside: these feelings are empowering me to establish healthier boundaries and drawing me closer to God and less co-dependent on human beings. Yes, it is surprising how thoughtless rhetoric about female bodies can be. I am glad you have found healthy boundaries. When I was 15 (many years ago), I was sitting in my Seminary class and they were giving us the “have as many children as you possibly can speech.” I remember thinking, “I am the one that will have to live with the consequences of that decision, so. . . .its my decision to make.” I am convinced those thoughts were personal revelation directly from God. Sounds inspired to me, too! Great response, April. I especially love your closing paragraph. Oaks’s talk is yet another example of why we could really use women in the Q15. When it’s all men, it’s easier for them to downplay the risks to women, or just not take them into account at all, because they won’t or can’t imagine what women’s lives are like, and so long as a policy works for men, who cares how it affects women? Women in the Q15 would be amazing. I agree it is sorely needed. I think the men have good intentions, but they don’t know what they don’t know. I listened to conference as they discussed how inspired the Q15 was to enact the Sunday meeting time change, and the lack of mention of consulting any women really stuck out to me, considering that women run the organizations most affected by the change. Maybe the General RS, YW, and Primary presidencies were consulted; maybe not. We will never know because if it did happen, no one deemed it important enough to mention. In my experience as a primary president, my presidency was not consulted when a huge change was made. The stake presidency (maybe including high councillors, I can’t recall), our bishop, and a branch president from our stake met together and decided to join the primary and youth programs in the struggling Marshallese branch with our ward primary and youth; the adults remained separated for SS, RS, and priesthood. This impacted our primary in every way imaginable and created tons of stress and challenges for us. The children were wonderful and we loved having them with us, but it would have been nice to feel that we had been given a chance to be a part of this major decision, rather than being blindsided in ward council that the decision had been made by priesthood leaders who had no experience in running a primary organization. We were expected to just accept their inspiration and make the best of it. This was a very eye-opening experience for me of how little voice female leaders actually have in this church, and makes it very easy for me to believe that no women were consulted about the Sunday time change either. I think they think (most likely subconsciously) that since God “inspired” the men to do it, why would they need to consult with any women? This is very troubling to me. I was very troubled by his counsel to marry young and have lots of children. The young women in Utah already feel an enormous amount of pressure to marry young, whether it is the right thing for them individually or not. I think even more women will use his counsel as justification to rush into unwise marriages. We don’t need this pressure! It already exists. We need to be encouraged to find the right path for our own lives, and not prodded like cattle into a life that is a bad fit for us. Thanks for this, April. It’s excellent. Thanks for this. If church leaders are concerned about couples having fewer children, it would be great for the church to get involved in creating family friendly work policies. If we practice what we preach, Utah would be the best state in the country that had policies allowing men and women to be involved parents and employees. Women should be supported in what they choose, whether to work outside the home or not to. I would hope that church leaders realize that the trend of having fewer children is multi-faceted and not simply the work of Satan. While deciding to have fewer children or none at all is a personal decision, it is unfortunate that women are forced to make decisions about this topic based on cultural work limitations. 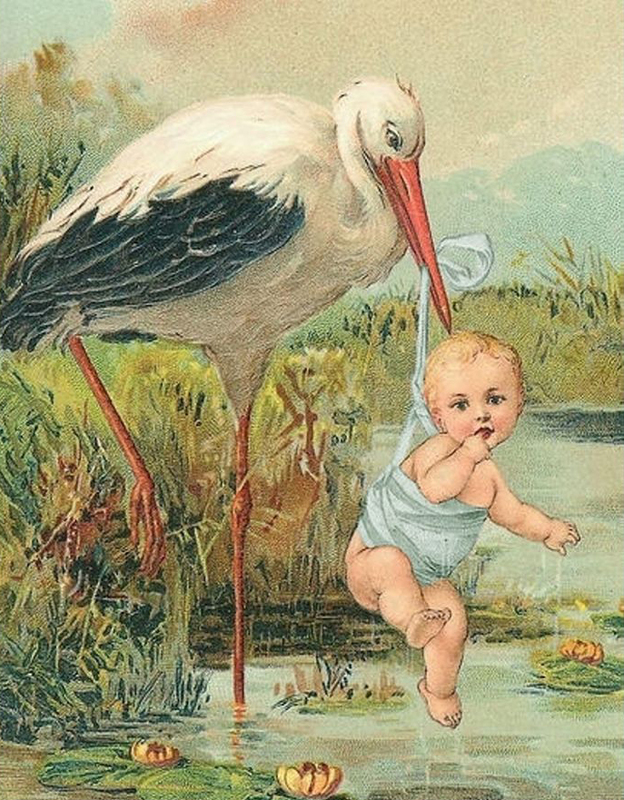 I am a professional woman, and many colleagues my age are opting out of having children. If that is what they want, then I wish them happiness in their decision. I only hope their decision isn’t based solely on the hardship of balancing a career and motherhood. The US can certainly do better in this area. sadly, my life has shown many of these detriments to marrying too young and having children too close together. Oaks seriously has his causal factors mixed up when considering that married people are more likely to stay in the church than single people. It’s not because marriage has some special magical dust that protects people from falling away. It’s because the church is so hostile and unwelcoming toward single people, especially single people over a certain age, that many singles take the hint that we’re not wanted and go elsewhere. I haven’t joined them in accepting the invitation to leave, but I completely understand why so many do. It’s an act of rebellion every week to put on my church clothes and show up when people at the top don’t want me there (or at least don’t want me there without a man by my side). My current ward is much better than most, but some wards are terrible and the rhetoric from the top about single people is downright un-Christlike. Over a year ago I had a strong impression that we were done having children, even though I wanted (still want?) another. I’ve been wrestling and angry as #*$% with God about this. I came to conference seeking for a way to repair and build my relationship with God. I did not find this at all. I heard lots of men saying “Have more babies!” without considering women’s relationship with deity in that. It was *really* hurtful. 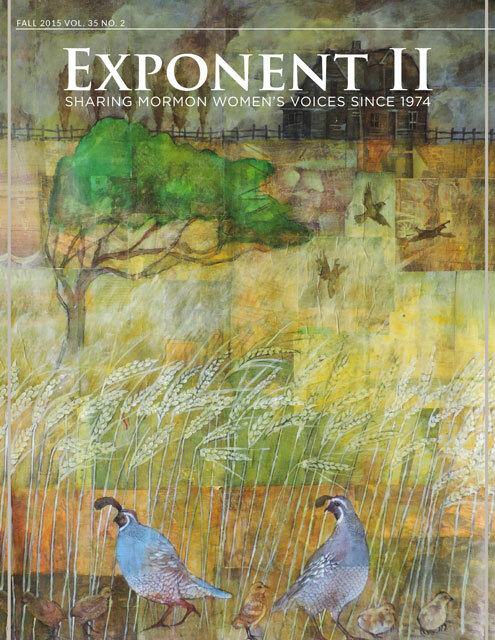 I also really appreciated the “Parable of the Turtles” article in the Summer 2017 Exponent II. It talked about how increasing the turtle population won’t happen just by releasing more baby turtles into the wild because the juvenile females were being caught in nets. The idea of the article was that, like turtles, we need to take better care of the health of the young women and mothers in the church if we want the church to grow.